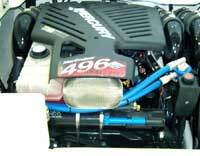 A large number of marine diesel engines have by-pass oil filtration systems installed by the engine manufacturer. Until now, however, this technology has not been available to smaller pleasure boats and light commercial marine applications. The AMSOIL Marine Dual Remote Filtration System was specifically designed for recreational and commercial marine applications that use inboard or inboard/outboard stern drive engines. Also, for ease of installation in some applications, optional 90-degree fittings (BK199 and BK200) can be mounted on the filter adapter collar. These parts are also sold separately. The AMSOIL Marine Dual Remote Filtration System represents the cutting edge of filtration technology, another example of the AMSOIL commitment to providing quality innovations that benefit consumers everywhere. 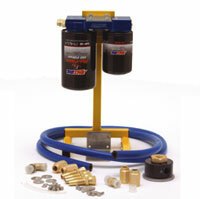 The remote mount of the BMK18 is compatible with the AMS-Oiler™ Oil Precharger (AMK01). 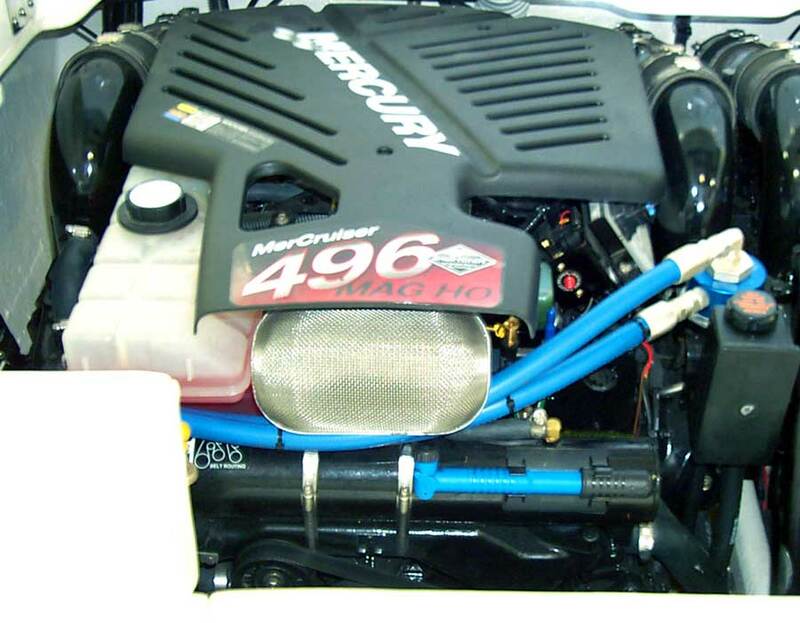 For added engine protection, install the AMK01 to reduce dry starting which is typical of marine engines that sit idle for even short periods of time. The BMK18 is packaged in kit form, which includes the Dual filter mount, mounting hardware, hoses, hose fittings, component parts and installation instructions. In addition, adapter kits of four different sizes enable the BMK18 to be installed on a wide variety of recreational and light commercial marine engines. The effects of marine engines running predominantly at or near full throttle after extended periods of non-activity include high operating temperatures and increased potential for wear on engine components. Dual remote filtration is a highly efficient filtering process capable of removing the vast majority of particles in the 5-20 micron range; those that cause the most wear. Dual remote filtration also has the ability to effectively remove particles down to one micron in size. The AMSOIL Marine Dual Remote Filtration System (BMK18) offers a clear advantage by providing better oil filtration, increased oil capacity and longer oil and filter life. The BMK18 requires a one- to two-quart oil volume increase, offering increased oil cooling capabilities. The additional hoses, fittings, filters and aluminum mount assemblies also allow the engine oil to dissipate heat more efficiently as it passes through the filtration system, extending the service life of both the engine and the engine oil.. The Marine Dual Remote Filtration System is designed to be used in harsh marine environments. The hose fittings are coated with a 3 ml layer of Alumiplate™ and 1 ml of zinc and yellow chromate. This Alumiplate coating is 10 times more corrosion resistant than standard zinc and yellow chromate plated fittings. While standard hydraulic fittings typically survive 96 hours in the grueling ASTM B-117 Salt Spray Test, the Alumiplate-coated AMSOIL Marine By-Pass System fittings lasted over 1,000 hours. In addition, the fasteners and mounting bracket are stainless steel and the hoses are U.S. Coast Guard approved. 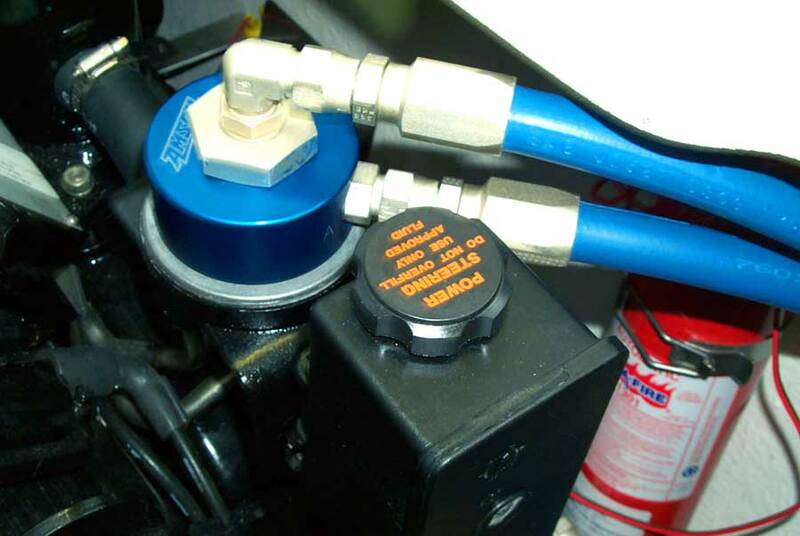 Depending on the boat owner's hours of use, the improved filtration of the Marine Dual Remote System, along with the use of AMSOIL synthetic lubricants, could completely eliminate oil and filter changes during a typical boating season. With marine engines located in a relatively confined and remote space within the watercraft, ease of filter access and reduced oil spillage are also significant benefits of the BMK18.